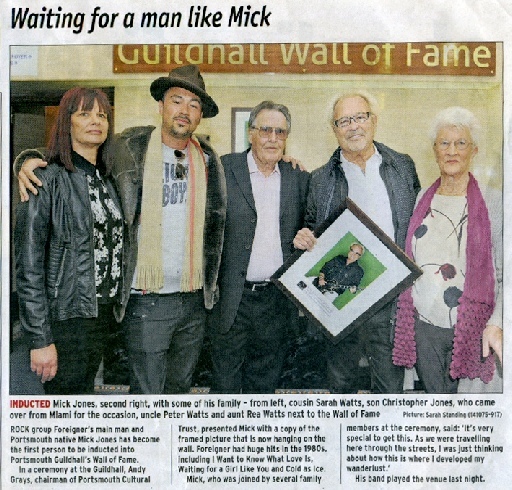 The Guildhall has its own Wall of Fame on the ground floor that is dedicated to musicians who have made a major contribution to music. 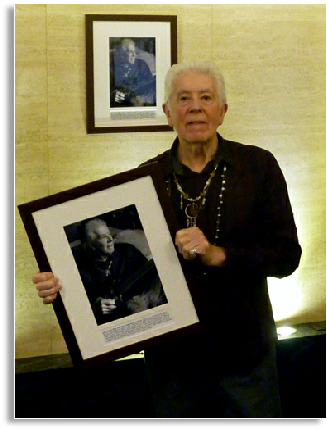 The second musician to be inducted was John Mayall, seen here with his copy of the framed photograph on the Guildhall Wall that he was presented with when he played at the Guildhall during his 80th year birthday tour in 2015. 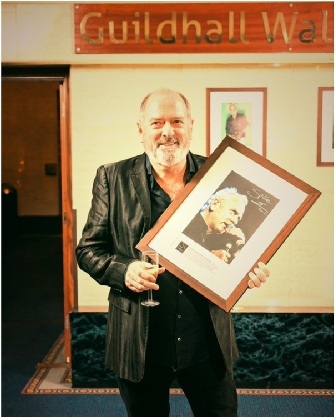 Third musician to be inducted was Spike Edney, local lad from Portsmouth and Queen’s Keyboard player and musical director. 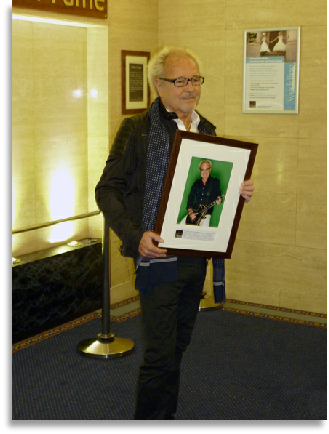 The From Landport To LiveAid exhibition at the PME charts Spike’s life and music career. 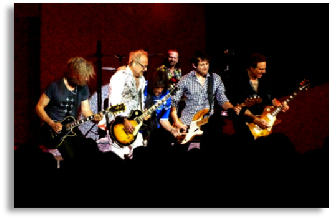 The fourth musician to be inducted was Level 42’s bass player Mark King when he played at Portsmouth Guildhall on October 18th 2016. 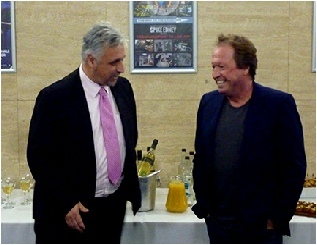 Portsmouth Cultural Trust Chief Executive Andy Grays and Mark King. 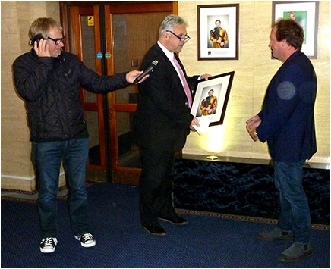 Andy Grays presenting Mark King with a copy of his photograph on the Wall of Fame. The guy with the mic is Radio Solent’s Alex Dyke who was including the presentation live on his afternoon show.